Sometimes I think Valentine’s Day is bit overdone. Don’t get me wrong, I’m a fan of presents (or a surprise visit) just as much as the next girl, but you shouldn’t need a holiday to let someone know you care. Maybe all you need is a simple note to say you love them. 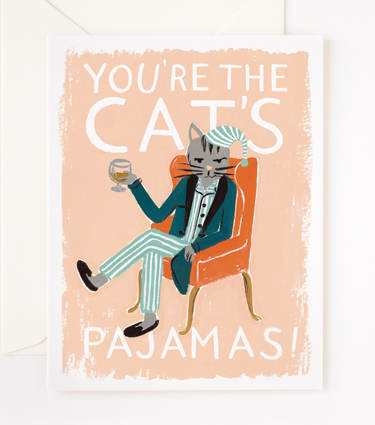 I love the cards from Rifle Paper Co. I first saw them on A Cup of Jo and became a fast fan. They’re cheeky and whimsical (and made in the U.S.). Sebastian shouldn’t be surprised if he gets one in the mail this year. What do you think? 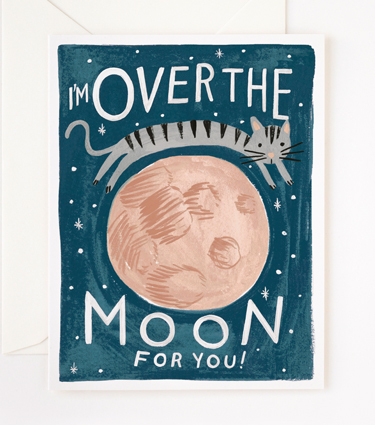 Is a love note too simple for Valentine’s Day? P.S. Hope your week is off to a great start! Love notes are never too simple! !